Some of you eagle eyed observers may have noticed a change to our Customers page. This week we welcomed Cisco Systems onto the website! We’ve been working with Cisco for a little while on a bespoke app for them to show off their Customer Experience Centre (CXC) at Bedfont Lakes. We are dubbing this app the ‘Enhanced Visitor Experience’. 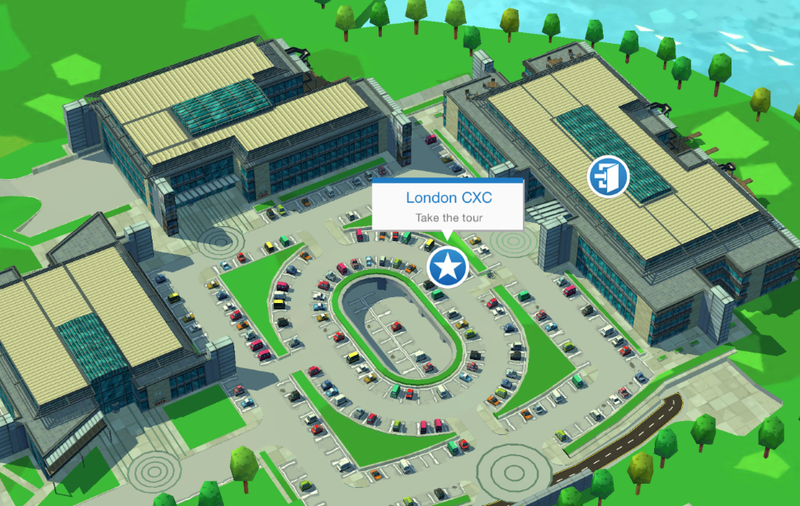 Cisco plan to distribute the app to the guests and visitors coming to the CXC at Bedfont to give them a great interactive way to find their way around the site and also the surrounding area. Partnering with Cisco gives us a unique opportunity to integrate with their systems (and play with some nifty tech) so for this app, we will also be supporting Cisco’s Connected Mobile Experience (CMX) and their Enterprise Mobility Services Platform (EMSP). Using EMSP we can register a device and obtain its location, all at the call of an API. Using this information in conjunction with CMX, we can effectively track a users position in real time while in the CXC. This positioning mixed with our new map interiors allows interaction on a whole new level - you will be able to see yourself moving around, as you move, inside the building. That brings me nicely onto another new feature for this app, Indoor Maps. Indoor Maps are something we’ve had in R&D for some time and we are very glad to bring it into production for this app. 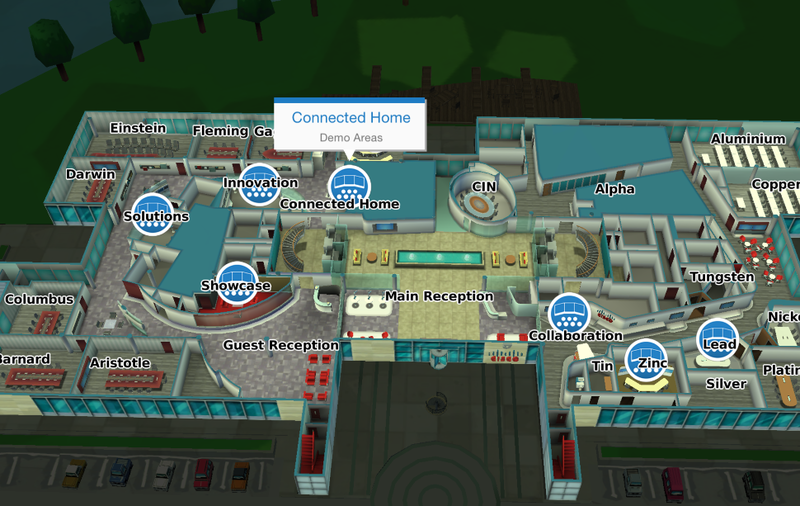 For the first time in any of our maps, you’ll be able to travel inside the building and look at each of the individual rooms. We’ve retained our labelling and points of interest in interiors too, so you’ll be able to find the room your looking for thanks to our interior labelling and you’ll even be able be able to find the nearest coffee machine or restroom thanks to our points of interest system which have been updated for this app. Interiors isn’t the only feature we moving into production with for this app. Tours is another new feature having its début with this app. 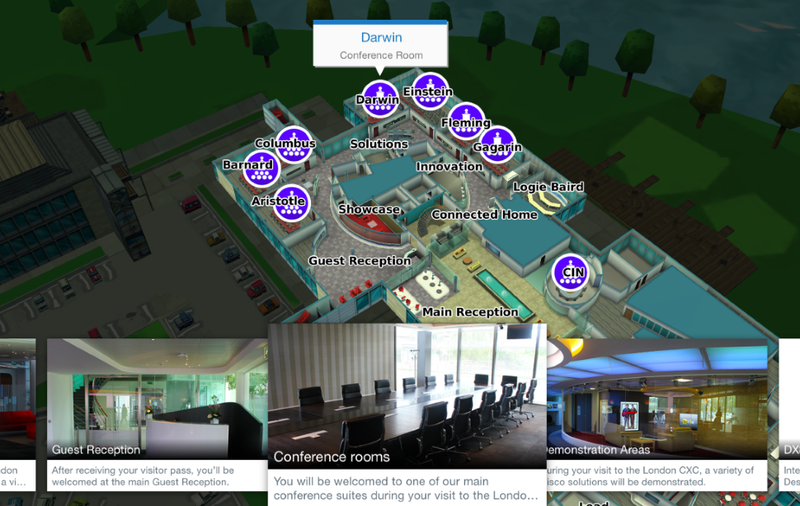 With our new Tour system you’ll be able to get a great customised experience, specially made for Cisco for their CXC. You’ll be flown around the site, shown areas of interest and provided with information directly from Cisco. You’ll end up knowing the CXC like the back of your hand before even arrive. We are very excited to show these new features and we can’t think of a better place than Cisco’s CXC. While this is all new, we still retain our normal core map technology and all of its features in the app. Both of these features are seamlessly integrated and feel right at home amongst our unique style. We hope to have more to show you and announce about the project as it continues to develop. Watch this space.